Prove Your Skills and Knowledge. RHCSAs who wish to earn a more senior-level credential. Experienced senior system administrators who have not yet certified. Course participants in Red Hat Training who have completed System Administration I, II, and III, or who have completed the RHCE Rapid Track Course. Experienced system administrators who require certification for their job or by mandate (e.g., US Department of Defense Directive 8570). 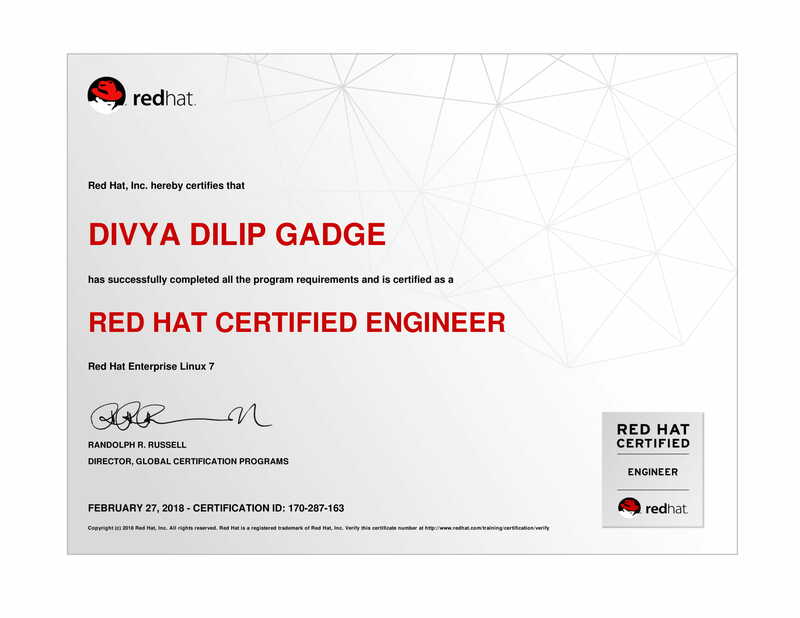 Hat® Enterprise Linux® 7 version of the exam.The performance-based Red Hat Certified Engineer exam (EX300) tests to determine if your knowledge, skill, and ability meet those required of a senior system administrator responsible for Red Hat Enterprise Linux (RHEL) systems. Red Hat Certified System Administrator (RHCSA) certification is required to earn RHCE certification.An RHCE certification is earned by a Red Hat Certified System Administrator (RHCSA) who has demonstrated the knowledge, skill, and ability required of a senior system administrator responsible for Red Hat Enterprise Linux systems. Schedule for Red Hat Certified Engineer (RHCE) - Training in Nagpur, Pune & Bangalore. excellent learning experience of linux. The learning experience is great here, faculty, Mr. Anushesh Dhawne is qualified and quite competent to teach their domains. The suggestions given by my advisor, Ms. Vallery Seth during the time of registration helped me a lot in picking the right course suitable for my time here. facuity anushesh sir sir teaching is good , i have learnt linux which will be beneficial for my further career in IT sector.